Line itemized and transparent quoting process, as well as, detailed contract & payment schedules tied to milestones. 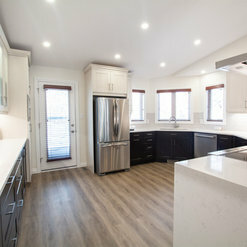 Our family had a renovation gone bad once before, so we entered into this reno with contact renovations nervously. However, we quickly realized our worries were for naught, as Paul’s professionalism was evident from the first day of work. His team turned our kitchen into the glorious centrepiece of our home (and taking it out of the 70s) - we were so pleased. Importantly when there were any bumps along the way, Paul was quick to communicate and propose a solution. 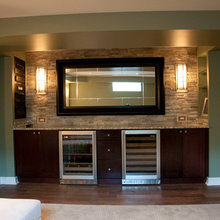 We would use no other company for our Reno’s! 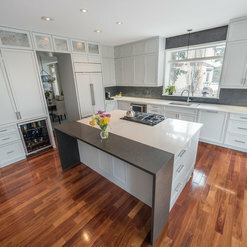 We have worked closely with contact renovations on many jobs , I consider them one of the best and most professional construction/ reno companies in the city. if you're looking for top notch work this is your team of experts. 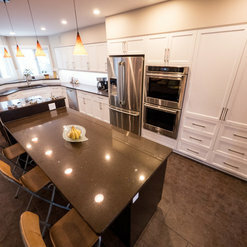 we recently completed countertops in a custom house they just completed and every detail is gorgeous , if I ever build or have a large reno I would definitely hire them for my own personal residence. 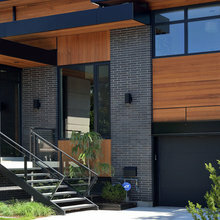 In the summer of 2018 I contracted with Paul Foster at Contact Renovations & Construction to build a four car garage behind my duplex in Edmonton. Even before we met, Paul had visited the site and had drawn up a blueprint of the building and had many recommendations to consider. Paul and his company showed a great deal of professionalism in taking charge of the work right from the beginning. From yard preparation to building completion he always made himself accessible if I needed to discuss any changes to the plans. Paul and his company employees were very knowable of the building trades and what needed to be done to complete the project He consulted with City Planners, acquired all the building permits, arraigned for the required inspections as well as appointments with Utility Companies and Sub-Contractors. Paul continued to consult with me and made considered recommendations throughout the build. His company employees were also very knowable and most congenial as were his sub-contractors which contributed to a cooperate and efficient work site. 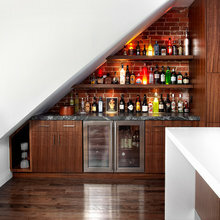 Paul showed flexibility in his plans as I made several changes to the building plans and these were all accommodated. The project was kept on budget and any changes due to additional work was clearly stated before the work was done. Paul completed the build within our planned timeline and completed ever detail as he called to make sure I was thoroughly satisfied before he considered the project finished. I am very satisfied with the workmanship, materials used and thoroughness of the work.. 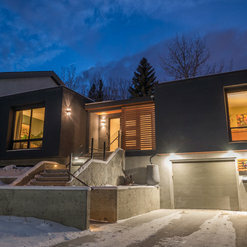 I now have a beautiful heated four car garage that is both appealing and very practical considering the Edmonton climate. 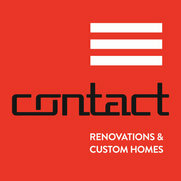 I would highly recommend Contact Renovations & Construction for any project you may be considering. This is a small company comprised of skilled and trustworthy employees. They promptly addressed every concern we came up with and we were pleased with the quality of their work and products. They replaced all our windows and front and back doors. Contact Renovation did a great job on the secondary entrance on my house. The communication between us was great and the project was done on budget. The only issue I had was the permits took a very very very long time to get, almost a year. The construction it’s self was very quick but in regards to the permit it took longer then I expected. Overall I would hire them. Very professional company and I don’t know if I could them accountable for the permits or the city. Sept 2017 our family had the misfortune of having a house fire and losing basically everything. 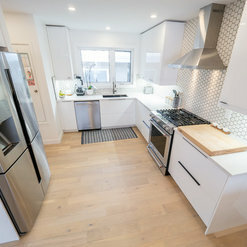 The interior was down to the studs, so a full on renovation was needed. 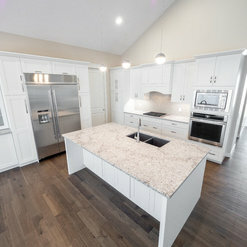 After interviewing 4 contractors, we decided that Contact Renovations was our best choice to help build our "new" and future home and our decision was bang on! Paul, Shaun and the rest of the Contact crew were great to work with. We valued their quality workmanship, honesty, communication and our project was completed on time which for us was extremely important. The sub trades they use are top notch and we will easily work with any of them in the future. The home is over and above anything we imagined and we are extremely grateful we went with Contact. Without any hesitation we will use (and recommend to anyone) Contact Renovations for any future project we will have at the house. I hired Contact Renovations to expand my physiotherapy office in March 2018, which included some difficult demolition and reconstruction, along with other technical issues. 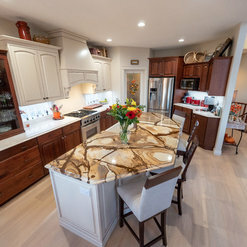 Paul and his crew were extremely professional in providing updated and accurate cost estimates before and throughout the project and were able to handle any and all technical issues that arose. I was very impressed with their communication process and how they handled any issues I had in a timely and suitable manner. 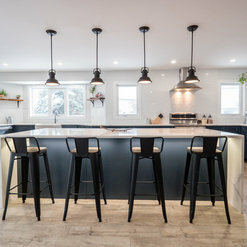 I highly recommend Contact Renovations for any size project and if you are looking for quality and transparency in the planning and delivery of your project. It is great to see your clinic is expanding and we are proud of the end result of your new space. Thanks for taking our advice along the way, and working through some of the logistical issues that arise in the commercial environment. It was a pleasure working with you, and I look forward to my next physio treatment! 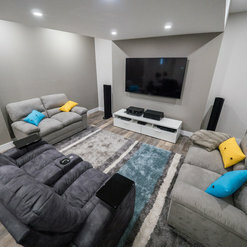 We could not be happier with the service, professionalism, creativity, and craftsmanship that Contact Renovations provided during our extensive basement renovation. We interviewed many contractors before we met with Contact; however, after the first meeting with Paul, the choice was clear. 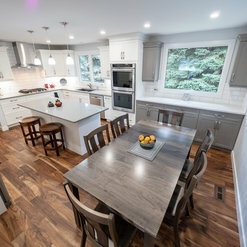 We had a great team supporting us for the duration of the project (5 months); communication was always clear and timely; and Paul's team and the trades that Contact brought in were top notch - highly skilled and always respectful of our day-to-day life during the renovation. Most importantly to us, we always felt that Paul and the team were on our side, had our best interests at heart, and genuinely cared about the project and how important it was to our family. The team was always ready with helpful suggestions and creative ideas - without trying to up-sell us on anything. 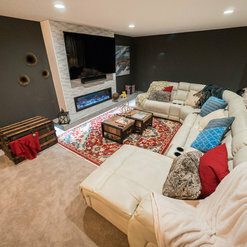 We waited years to renovate our basement - in part because of contractor horror stories we'd heard over time from friends and family. If we'd known that we could have brought Contact in, we would have done this project a long time ago. Very highly recommended. Wow, thank you very much for your kind words! 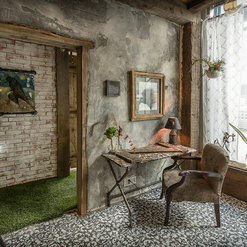 Not all clients are as open as you were to our recommendations, understanding that we simply want to build the best possible space we can for them. The entire team really enjoyed working with you and are very proud of the end result of your project. Thanks again for choosing us, and we'd be thrilled to work with you again in the future. Paul and his team are awesome. We turned one tiny bathroom plus your typical boring 1960s bathroom into one big beautiful place of tranquility.. .at least when the kids keep out :) I brag about my bathroom all the time. Turned out exactly as i imagined. Nicest room in my house!! If ever i have another project I'll always choose Paul! Thanks alot Shelley, we are very happy with the end result of your project as well and are glad to hear that you are enjoying it. Thank you very much for the great feedback Stan & Sophie. We really enjoyed working on your project and are very proud how it turned out. Adding the gable dormers at the back of the home sure changed the look of the home, and it will help to reduce light exposure and protect your windows/doors below. All the best, The Contact Team.